Action and reaction forces do not balance each other. Why? Let's say you push the wooden block, it is true the the block pushes you back with the same force. However, this does not mean that the force that you are exerting on the block has got cancelled. The wooden block will continue to to experience the push and so would you from the block being pushed. In a way they are 2 separate forces, each acting on separate object. To understand the concept better imagine yourself pushing your friend and your friend pushing you back with the same force. Just because the forces are equal and opposite in magnitude, does not mean that you feel at ease. You feel the pain in your muscles because there is a force acting on your arms that stresses your muscles. Scientifically put, you need to see the body being pushed in isolation. The force you are putting on the body is “tangible” and makes it move once the force of friction has been overcome. 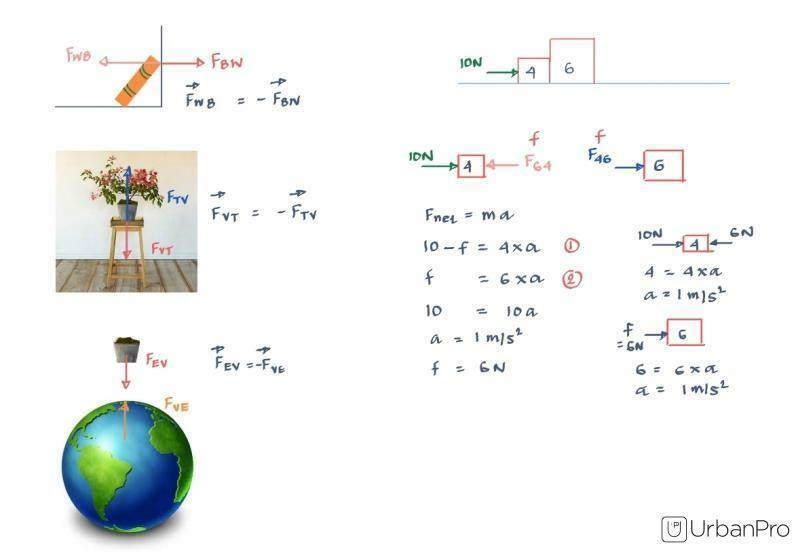 This is the reason problems around Newton’s laws of motion are solved by using “free body diagrams”. This essentially requires you to label all forces that act on a body and then find the “Net force”, using vector algebra. This net force is then equated with the product of mass and the acceleration this net force is creating, to find the unknown in the equation. because action and reaction force acting different body. Since each act at different bodies. Because it has very high force.